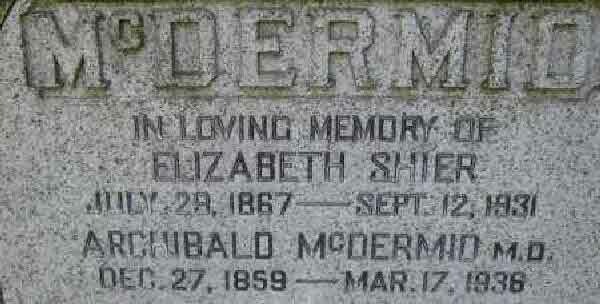 Burial* She was buried in Park Lawn Cemetery, Toronto, York County, Ontario, Canada. [S65] Ontario, Canada, Marriages - 1785 - 1935, online \, Marriage between Margaret Moore and Samuel McCoskiery. 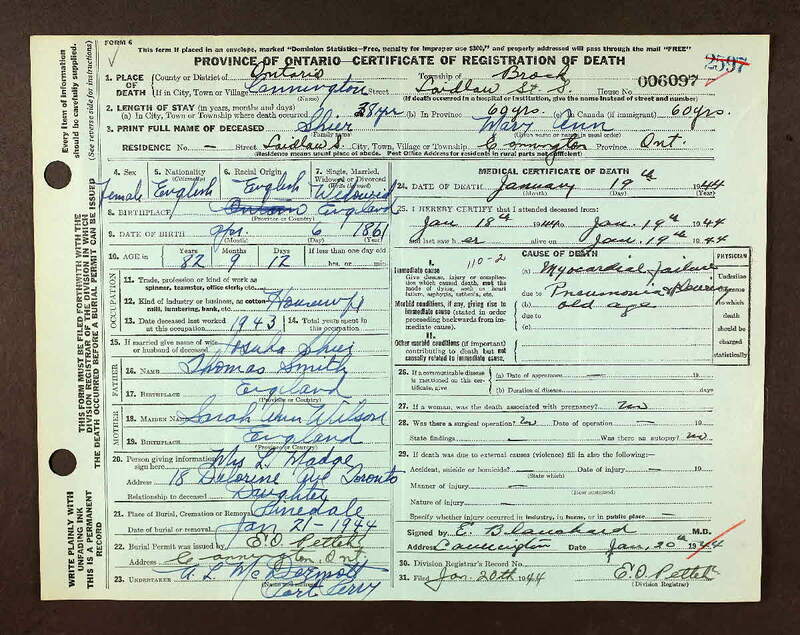 Birth* Harry David McCrae was born on 8 March 1878 in Brussels, Huron County, Ontario, Canada. 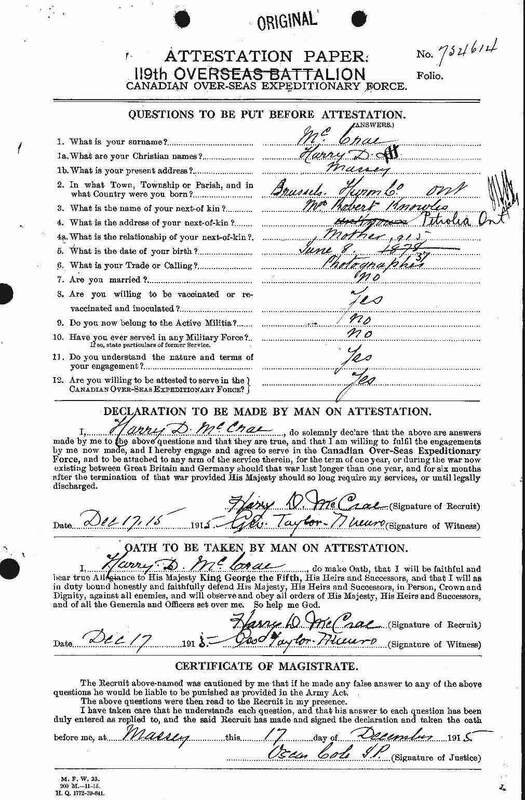 Milit-Beg* Harry David McCrae began military service on 17 December 1915 in Massey, District of Algoma, Ontario, Canada, Harry David McCrae was attested into the Canadian Expeditionary Force. 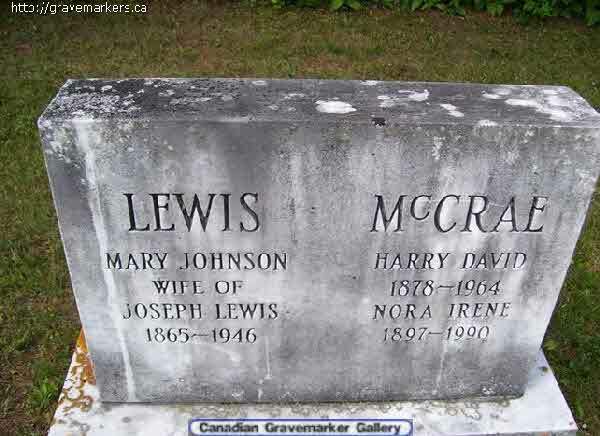 Marriage* He married Nora May Irene Lewis, daughter of Joseph Stewart Lewis and Mary Johnson, on 8 July 1931 in Thessalon, District of Algoma, Ontario, Canada. 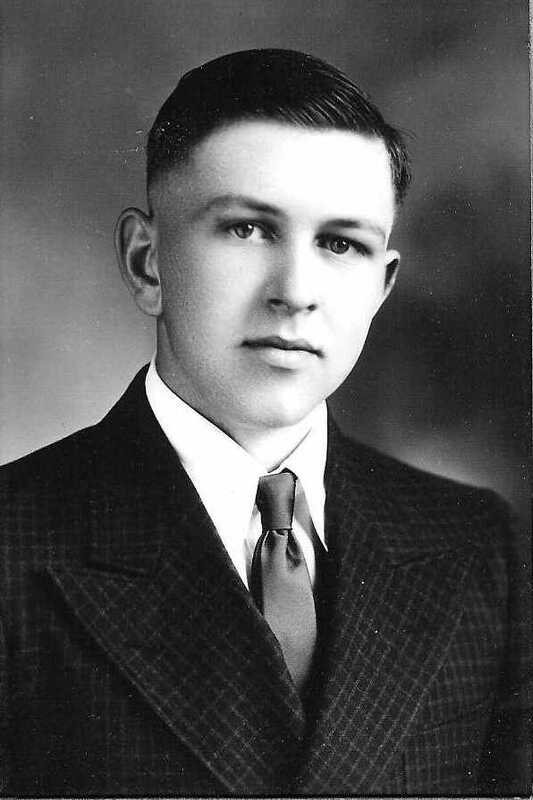 Burial* He was buried in Forest Lawn Cemetery, Thessalon, District of Algoma, Ontario, Canada. 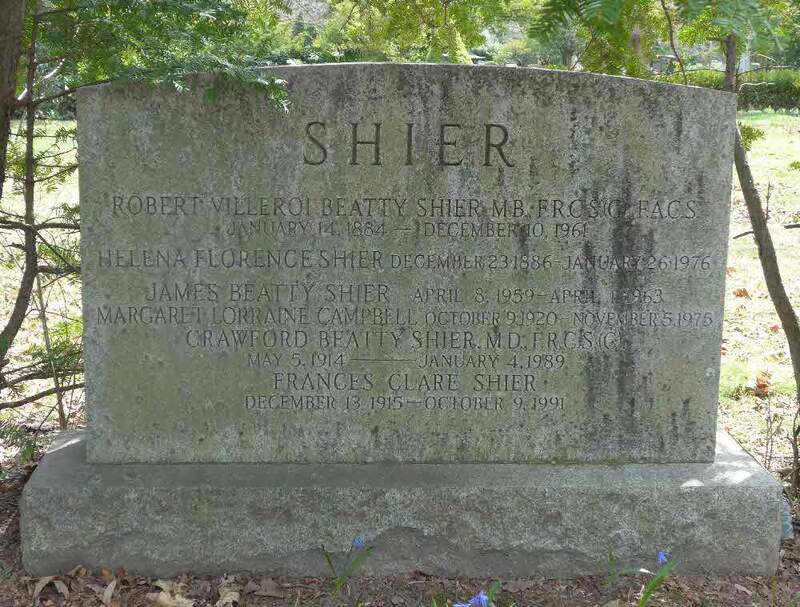 Marriage* She married Amos Christopher Switzer, son of William Henry Switzer and Arabella Margaret Teskey, on 31 December 1902 in Middlesex County, Ontario, Canada. 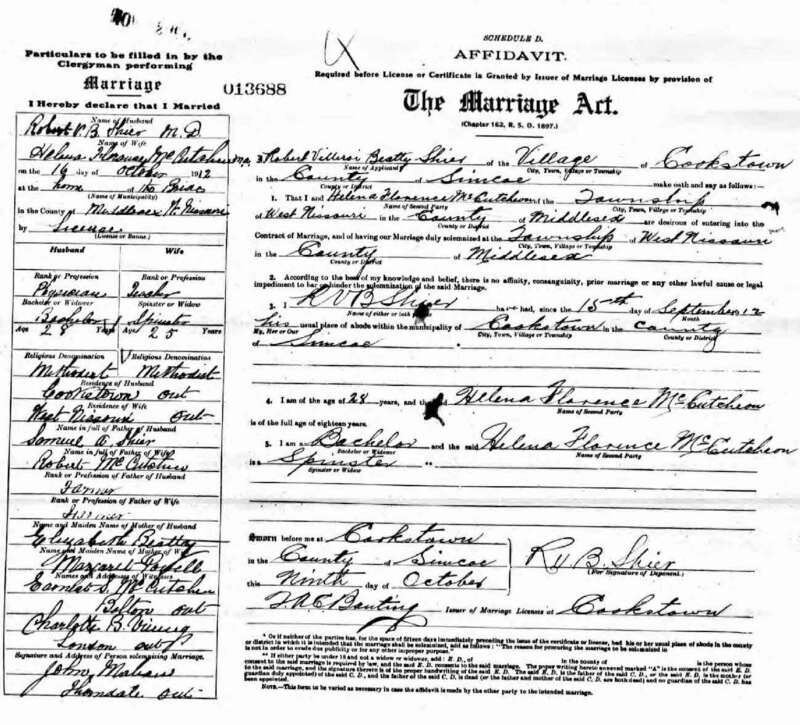 Marriage* Dr. Helena Florance McCutcheon married Dr. Robert Villeroi Beatty (Roy) Shier, son of Samuel Adam Shier and Elizabeth Hamilton Beatty, on 16 October 1912; In the home of the bride, West Nissouri TWp, Middlesex County, Ontario. Burial* He was buried in Mount PLesant Cemetery, Toronto, York County, Ontario, Canada. 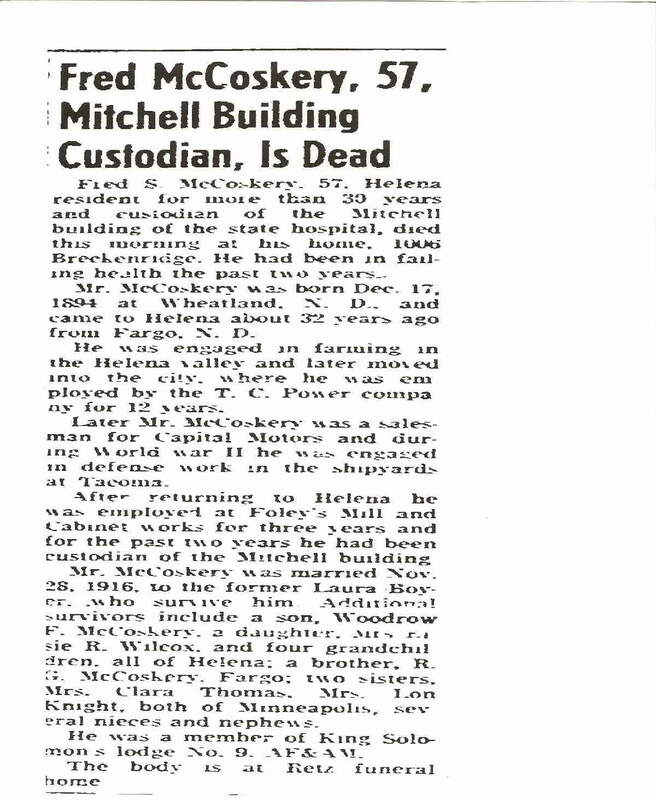 Birth* Helen Patricia McDermid was born on 18 June 1910 in Severn Bridge, District of Muskoka, Ontario, Canada. 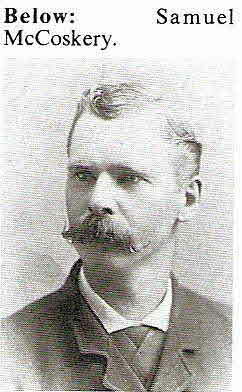 Marriage* He married Mary Ann McDermott, daughter of Thomas Smith and Sarah Ann Wilson, on 10 February 1886 in Reach Twp., Seagrave, Ontario County, Ontario, Canada. 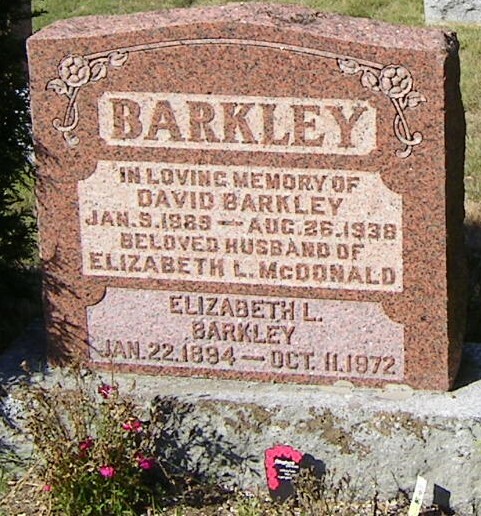 Burial* He was buried in Pinedale United Church Cemetery, Brock Twp., Ontario County, Ontario, Canada. 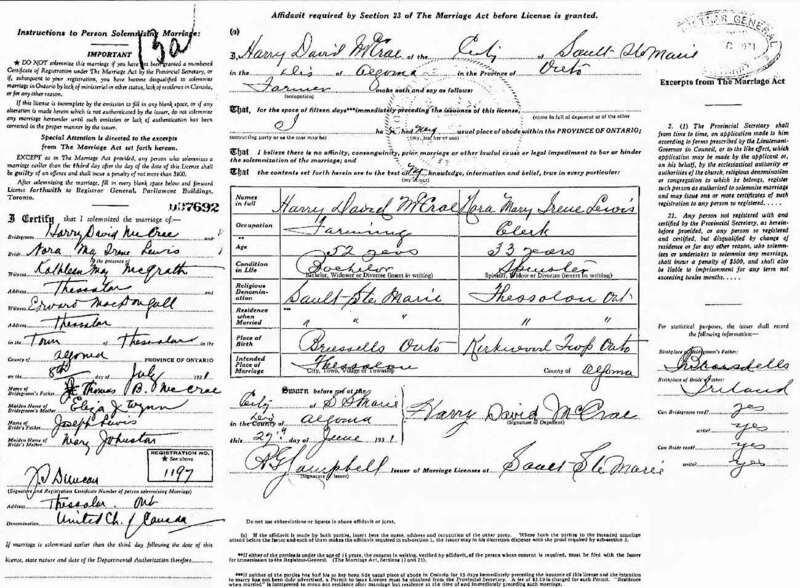 Marriage* Mary Ann McDermott married Henry McDermott on 10 February 1886 in Reach Twp., Seagrave, Ontario County, Ontario, Canada. 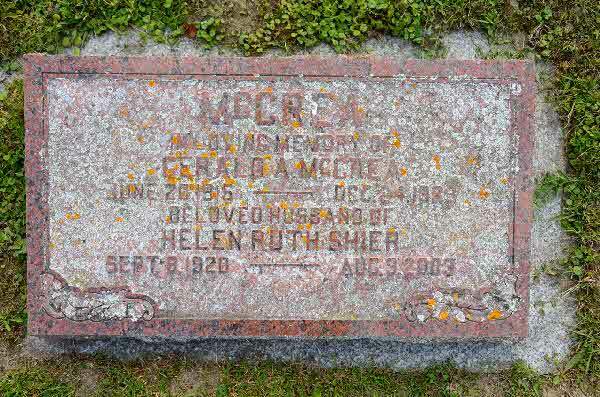 Death* Mary Ann McDermott died on 19 January 1944 in Brock Twp., Cannington, Ontario County, Ontario, Canada, at age 82. Burial* She was buried on 21 January 1944 in Pinedale United Church Cemetery, Brock Twp., Ontario County, Ontario, Canada. Burial* He was buried in Fonthill, Regional Municipality of Niagara, Ontario, Canada; Buried in Pleasant View Memorial Gardens Cemetery, Fonthill, Ontario. 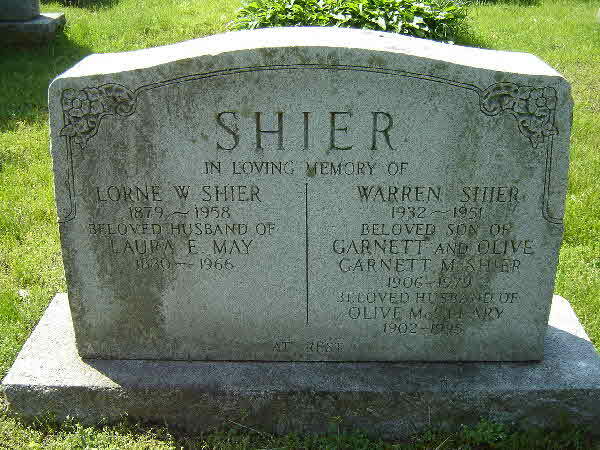 Pictured stone is at Stone Church Cemetery, Beaverton, Thorah Twp. Ontario County. 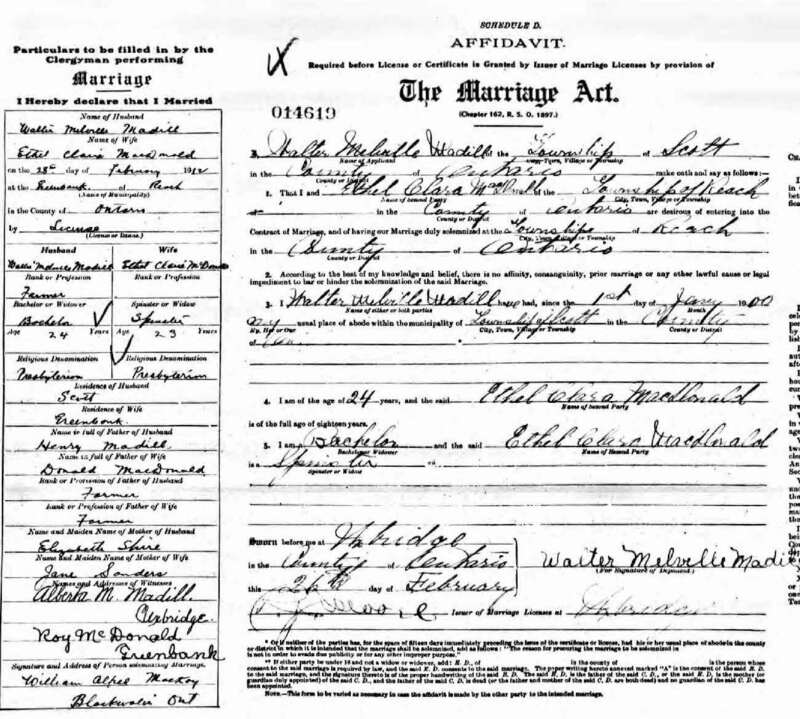 Marriage* Ethel Claire McDonald married Walter Melvile Madill, son of Henry Madill and Elizabeth Shier, on 28 February 1912 in Reach Twp., Greenbank, Ontario County, Ontario, Canada. 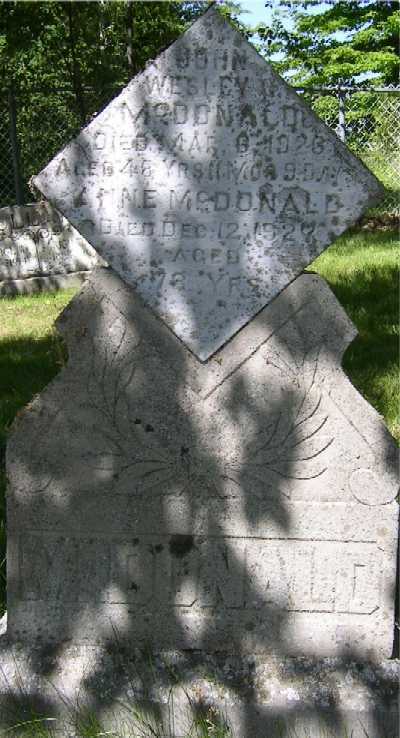 Death* Ethel Claire McDonald died on 8 August 1927 in Scott Twp., Ontario County, Ontario, Canada, at age 38. 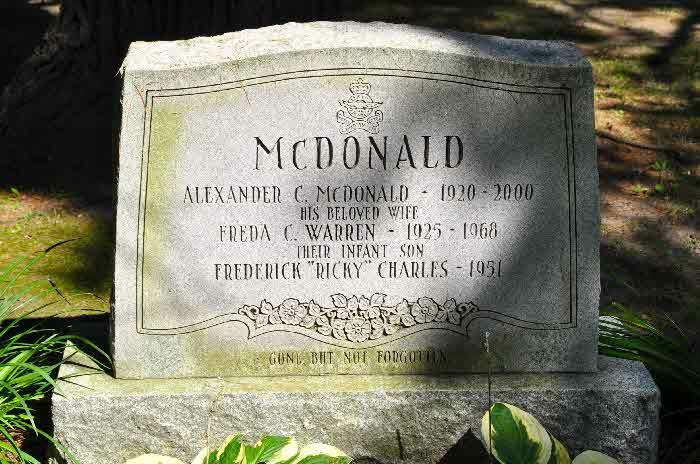 Burial* Frederick "Ricky" Charles McDonald was buried in Stone Church Cemetery, Thorah Twp., Beaverton, Ontario County, Ontario, Canada.